You are here: Home / Blog / Boxing Training for Girls? Boxing training for girls everyone. Women have been boxing ever since the sport was invented, but competitive boxing in the ring has been outlawed for women during most of this time. In 2012 the Olympics featured women’s boxing for the first time since a demonstration bout in 1904, producing the first 12 female Olympic Boxing Medalists. * Women’s boxing as a competitive sport has become increasingly popular since then, with many celebrities enjoying boxing training including Jennifer Aniston, Gwen Stefani and Cristina Aguilera, to name just a few. An increasing number of supermodels have also put on their boxing gloves in recent years, which is testament to the physical benefits of boxing training. It’s brilliant that female boxers are competing at international level, especially when women are still battling for equality in many places around the world today. But this isn’t an article about equality, women’s rights, or feminism. It’s about boxing training. Training for fitness and for well-being. And why boxing training is suitable for everyone. If you think boxing training is all about getting ready for a fight then you’re mistaken. Boxing training and boxing workouts are all about fitness. We are familiar with the increasingly popular high intensity interval training – HIIT sessions – that provide huge cardio and health benefits mainly because of their sheer intensity. HIIT sessions can reduce blood pressure, increase cardio capacity and shred fat fast. Boxing is the original HIIT workout! Boxing will get you fitter, more coordinated, stronger, leaner and faster. Boxing training works every major muscle group and gets rid of fat like no other training system. And it’s not all about fighting. Professional boxers spend hours in the gym working on their punch bag, practising combinations and working on their fitness. They are seriously fit, they have to be. Which brings us back to boxing training. 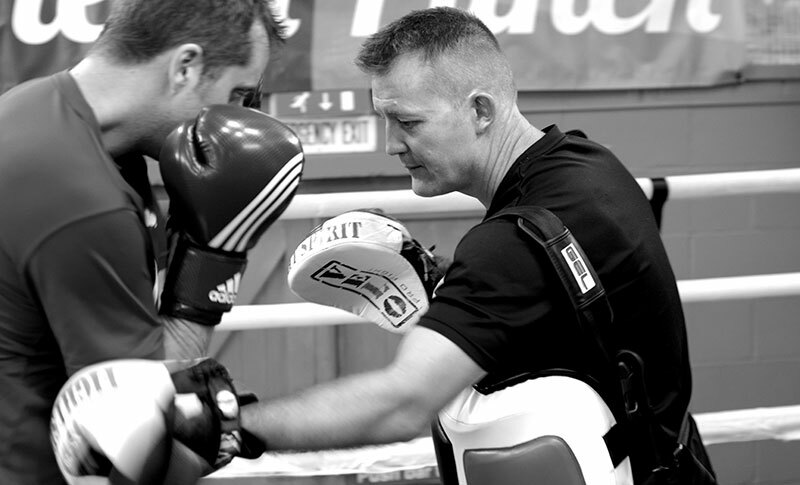 What if you could train to be fighting fit, without ever stepping in the ring? We’re not talking about boxing aerobics, or any of those types of classes. These have their place and are enjoyed by many. But what we have here at Fight Yourself Fit are real boxing training routines. Our routines aren’t glossy, musical workouts. We didn’t film them in the studio. We filmed them in the boxing gym. Our Fight Yourself Fit program is serious boxing fitness training that you can do in the comfort of your own home. These workouts will teach you how to box. How to train on your punch bag. You will learn genuine in-fight combinations and real boxing fighting techniques. As we said, it’s not an aerobics class. It’s definitely not boxing aerobics. Maybe you’ve already tried those kinds of workouts. Maybe you’re looking for something more. You might even be looking for more substantial boxing training to build on your existing boxing skills. If you follow the Fight Yourself Fit punch bag workout program, not only will you massively increase your cardio fitness, lose fat and tone up everywhere, but you will also learn to box. Boxing training will give you improved confidence, and better coordination. You will be leaner, fitter and quicker. Boxing training will give you strength, sculpt your body and give you punchbag arms – believe me you want those. Boxing training gives you an all over body workout at home and burns maximum calories. You will see the difference as your body shapes up and more importantly you will feel the difference. Your energy levels will rise, you will be more alert and more motivated. Other aspects of your life will benefit from the knock on effects of the training you’re doing. Focusing on punchbag combinations will train your mind and give your memory system a boost – boxing is a workout for both mind and body. Your stress levels will lower and tensions will fade. It’s all good. If you’re looking to develop and hone your heavy bag skills then our system is perfect for you. Heavy punch bag training, to some, is one of life’s mysteries. Bought with the best of intentions, many poor, lonely punch bags are hung in garages and sheds, doomed to hang unused because of one simple fact – people don’t know what to do with them. This isn’t intended to be a criticism here. We all know how to punch a bag, but how do we turn this into a boxing workout? What boxing combinations should we be using? How do we get any better at this? How do we move around the punch bag? How do the boxing professionals train using their punch bag? You don’t need a desire to fight before you start boxing training. Not anymore. Now you can have access to our world class boxing training system. Genuine boxing workouts with a former professional boxer. As I mentioned earlier, all our routines were filmed in a real boxing gym and the people you see in the videos are real people. We have developed a complete 60-Day Punch Bag Workout program specifically designed for people like you. We’ve worked on the combinations, in-fight skills, and boxing techniques, made it intense and then some. 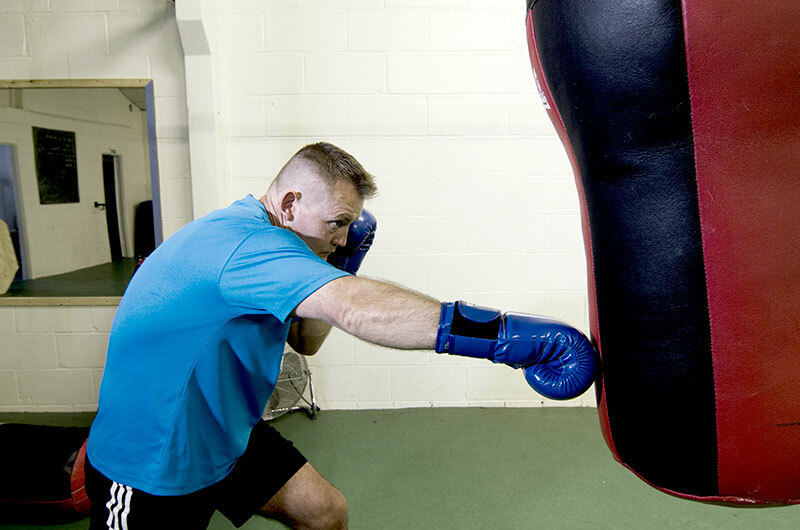 We’ve got cardio, strength and endurance training, all centred around the heavy punch bag. Our boxing workouts are full body driven and will get you fighting fit in 60 days. We are not male or female. We are not young or old. We are boxers.